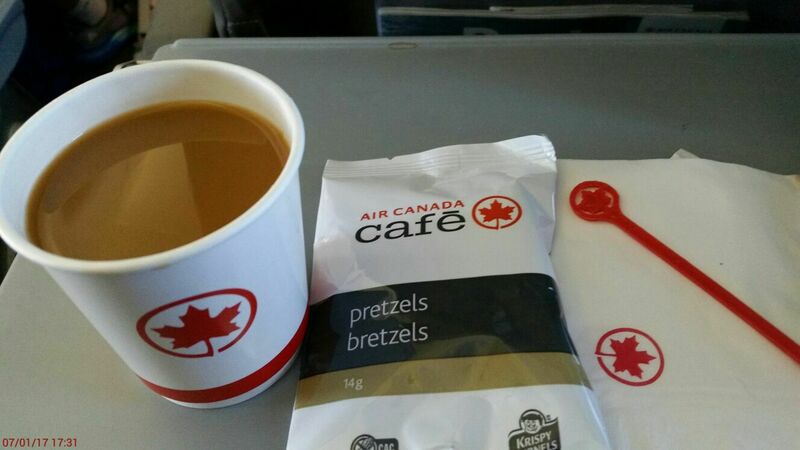 Air Canada café - Bonjour Canada! Almost 18 months after getting our Canadian visas, we finally made that first trip to Canada, landing in Toronto last week! We had booked round trip tickets using our United miles, to experience the only daily scheduled international flight from Kansas City; via Air Canada, which is part of the same alliance. The flights is a small 50 seat Regional Jet, but the journey was relatively smooth. After landing at the Toronto airport, we picked up our rental car, and made our way to the airport Best western hotel where we were to spent the night before our southbound journey to Niagara falls. We started off relatively early in the day, as we wanted to stop by a quaint little town called Niagara-on-the-lake, which is famous for it's many wineries, and on the way from Toronto to Niagara Falls, ON. The drive takes about an hour and half, plus add time for traffic depending on the time and season. The Queen Elizabeth Way (QEW) is the major route from Toronto. There is also a faster route (407 ETR) however there is no way to manually pay the toll, and the rental companies may charge a much larger administrative fee, than the actual toll. 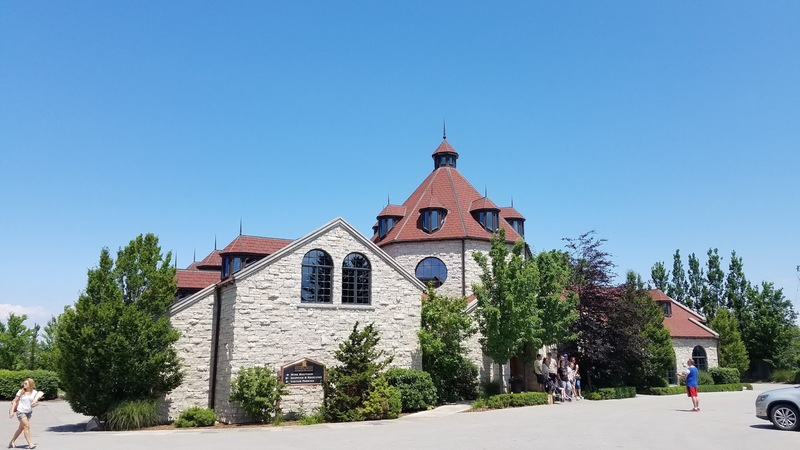 After reaching Niagara-on-the-lake we made our stop at the Konzelmann Estate Winery, where we did a guided tour of the estate and winery while learning about the history of the family, taking in the beautiful view of the vineyard. We finished the tour off with a structured tasting of four of their famous wines, including an ice wine, which is unique to this part of the word. We reached Niagara falls late afternoon that day and checked in to our bed & breakfast. Evening, we went for a stroll to the falls, to get our first glimpse. For the next day, we had booked a tour with See sight tours, a local tour operator. Our excursion started early, with our driver and tour guide for the day, John, picking us up at our B&B at 8:30 am sharp. We then went on to pickup another family of 4, before starting off the day with a ride up the Skylon tower. 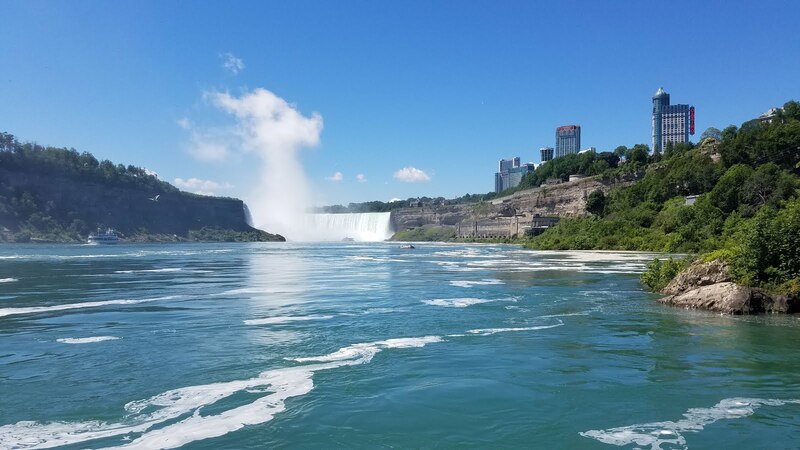 The Skylon Tower is one of the top attractions in Niagara Falls and a must for those who want to see a bird’s eye view of the City and the surrounding area. 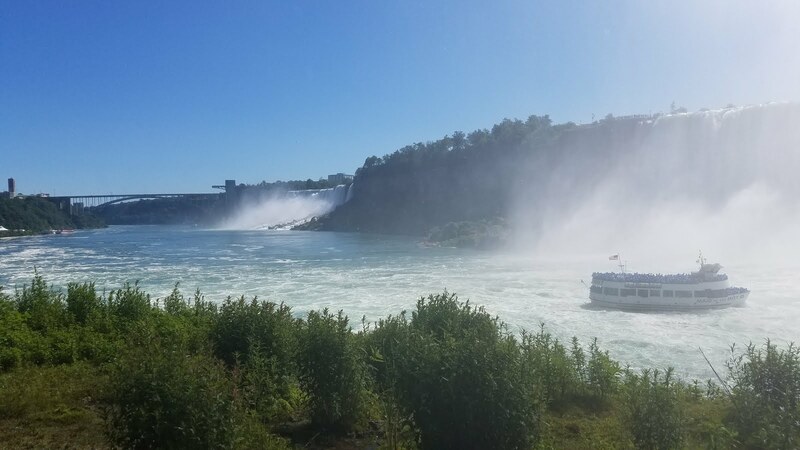 The glass elevator ride up takes you to an 360 degree observatory where you can get some of the best views of the falls, and on a clear day, as it was when we visited, we could see far as the Toronto & Buffalo skylines on either side of the falls. Our next stop was the bride/dam above the falls. It was built both by Canadians and Americans in 1954 for two reasons. 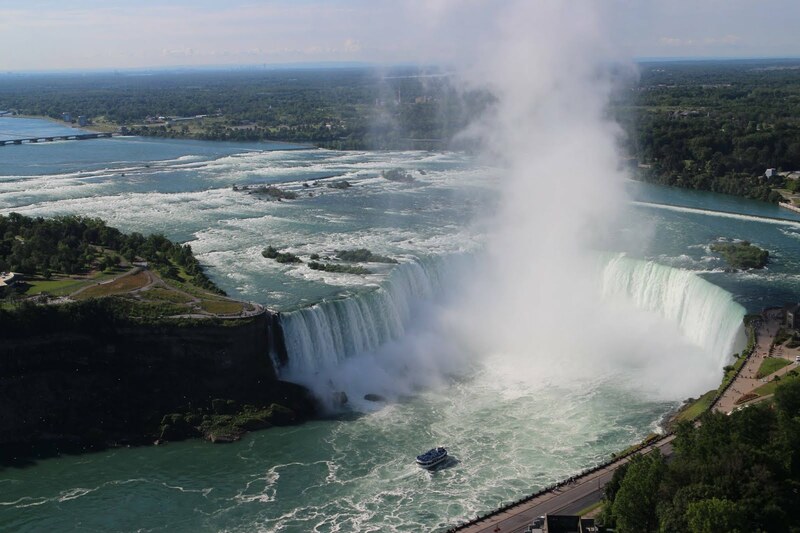 It was built to hold back some of the water going over the Canadian Falls and force more water from the upper river to the American Rapids and over the American Falls and also to divert water from the upper river into intakes for Canadian and American power plants. After this we were driven to the visitors area which underneath which is the entrance to the Journey behind the falls. 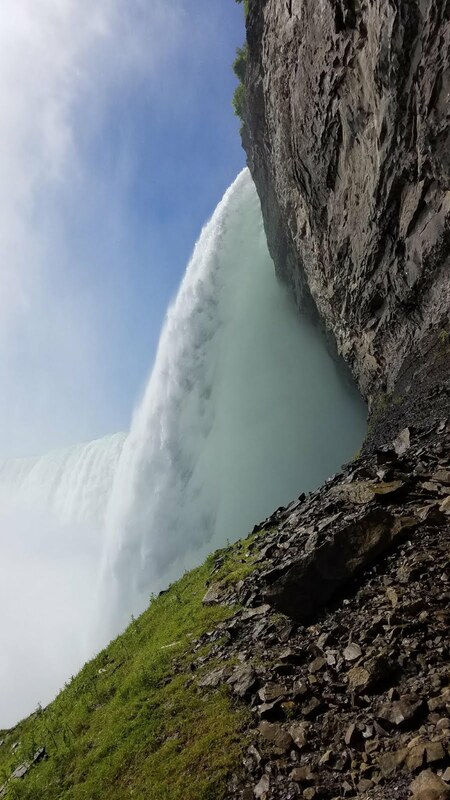 This offers an unique view of the Falls from below and behind. Visitors descend 150 ft. by elevator, where a short tunnel (150 ft.) gives access to two outdoor observation decks and two portals located directly behind the Falls. 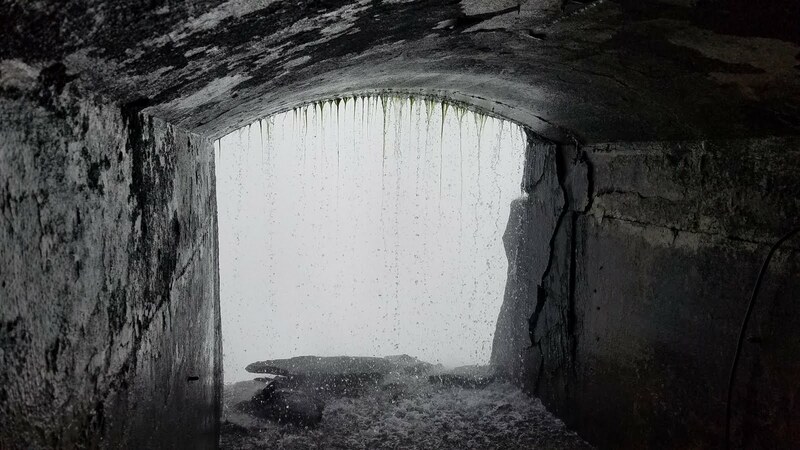 Elevators descend 150 feet through bedrock to tunnels that lead and to the Cataract Portal and the Great Falls Portal which is one third of the way behind the massive sheet of water. Then you walk on to the Upper and Lower Observation Decks at the very foot of the Falls. Our next attraction was the Hornblower cruise. 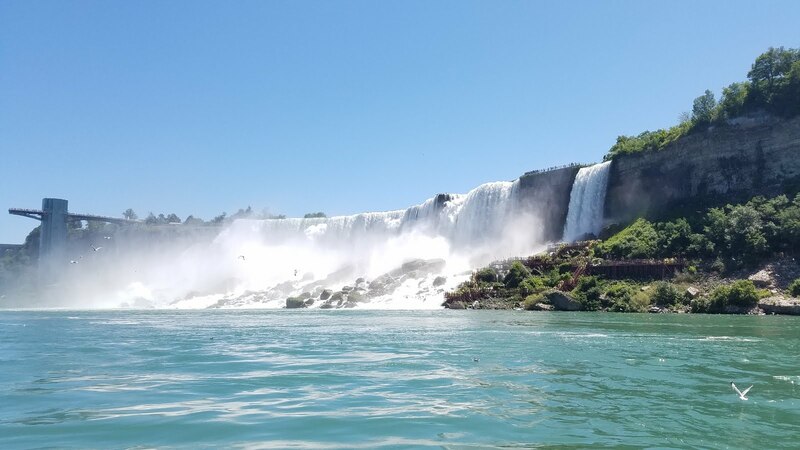 This cruise takes you as close as possible to the thundering roar, awesome power and amazing mist of the mighty Falls! We rounded off the trip with a visit to the Floral clock and buttery conservatory in the Niagara falls park area. 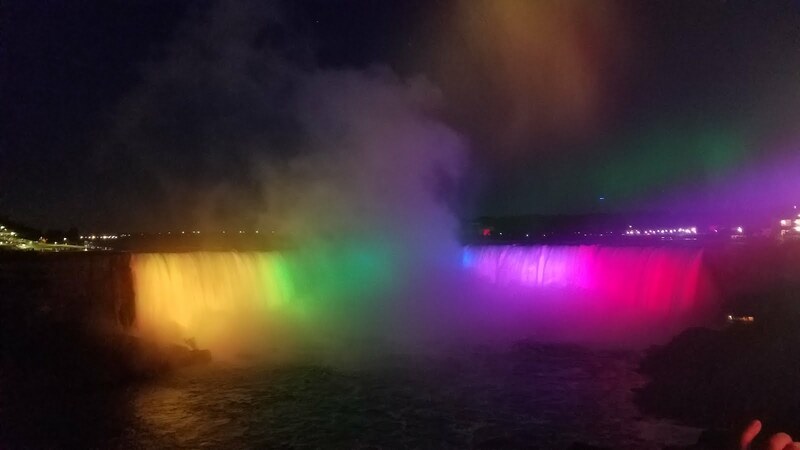 Next day, we drove back to Toronto to spend the rest of our week, but not before driving past the amazing Niagara falls for one last time. 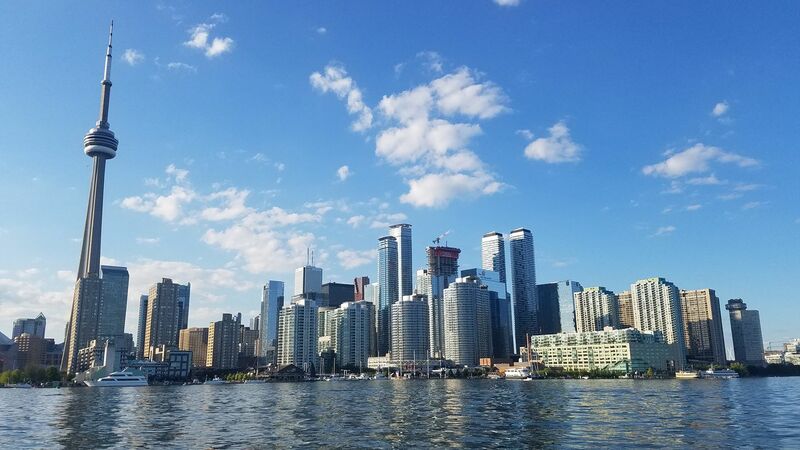 While in Toronto, we did an evening cruise of the harbor and a trip up the CN tower, where you can see some awesome 360 degree views of the city from a bird's eye perspective. This brought to an end an excellent week in the Ontario region of Canada, and I hope we get to explore some of the other parts of this amazing and vast country in the coming years. What businesses did we use?